Practically any history that mentions the death of King Henry VI will claim he was murdered. The blame for the crime varies slightly, but most agree that it was on the orders of King Edward IV immediately after the Battle of Tewksbury in 1471. At this battle, the forces of Henry’s queen, Margaret of Anjou were defeated and their son, Edward, Prince of Wales was killed, probably with the collusion of George, duke of Clarence. Queen Margaret was captured and placed in the Tower of London. The leaders of the defeated Lancastian army were either killed in the battle or executed soon afterwards. The rest fled into exile abroad leaving Henry as the only surviving figurehead of the Lancastrian cause. The victorious king Edward is supposed to have sent his brother, Richard of Gloucester to the Tower of London, where king Henry was held and there “stycked him with a dagger.” Thus died the deposed king leaving Edward IV in sole possession of the crown. Having thus satisfied all the conditions of a good tale, historians pass on to the second reign of king Edward IV with all its intrigues without bothering to examine any further the circumstances of the supposed murder. If a modern police force investigated a suspicious death in this way, without properly looking into the motives of all those involved in it, we would be calling for resignations, but some historians, it seems, feel themselves free to jump to a hasty conclusion and "prove" it by ignoring inconvenient facts and presenting contrived evidence to suit. The chief suspect, king Edward IV, certainly had "previous" – as a warrior king he consolidated his victory after Tewksbury by having those Lancastrian leaders he caught summarily dispatched, and what is more, it was his brother, Richard of Gloucester who presided at their hurried trials before ordering their deaths. Do we have him “bang to rights?” It is rather like one of those old-fashioned whodunnits where a clumsy police inspector promptly arrests the wrong man while the private detective, with obvious logic, manages to turn up the real villain. Let us look at the curious circumstances of the death. The following day after the announcement of his death, king Henry’s body is brought to St Paul’s in London to lie openly in his coffin in respectful state so that the populace can see it is actually him. Henry had been king of England from the age of eight months after the death of his father king Henry V in 1422 and he became king of France two months later upon the death of his grandfather Charles VI. Deposed by Edward IV in 1461, he was placed on the throne again for a few months in 1470 until Edward’s victory at Barnet in 1471 when he was placed in the Tower of London. By this time he was 51 years of age, physically and mentally sick and incapable of making his own decisions. When brought through London, he was so ill and weak he had to be tied to his horse to prevent him falling off. The official version issued at the time tells us that Henry died of grief when presented with the news of his lost cause, the imprisonment of his queen and the death of his son. Having lain in state in St. Pauls overnight, the chest containing Henry’s body was moved to convey it to Blackfriars where it would lie for a further day. When the chest was moved, however, fresh blood was discovered on the ground under it. Medieval superstition supposed that a body, which had been murdered violently would bleed afresh to betray the crime and here was the proof. It happened again the next day when the body was moved to convey the king to his internment at Chertsey Abbey. This should be enough to provoke a reasonable suspicion that there was some sort of trickery at work. First we are asked to believe Edward had Henry murdered, not quietly and discreetly, but violently such that he would bleed profusely the following day, his blood soaking through his funeral vestments, the lining of the coffin and then drip onto the floor beneath. This after he had announced the cause of death as a seizure brought on by grief. His assumed stupidity is compounded by his failure to clear the blood away and then let it happen again the following day, though two days after death when any blood in the body would have congealed. It is not difficult to work out that the remaining Lancastrian faction in London, having been defeated in battle, was now embarking on a scheme to blacken the character of king Edward at the beginning of his reign. The king would have understood this very well and his suspicions would have been provoked too. Let us look at another scenario, the one that probably came into Edward’s mind when he heard of king Henry’s death in the Tower. King Henry died of a seizure, as stated above. This should surprise nobody; a man in his condition, elderly and already in a weakened state could hardly expect a new lease of life at the news of the Lancastrian defeat, his queen's capture and his son’s death. King Edward was at Westminster celebrating his victory at the battle of Tewkesbury when the news of Henry’s death was brought to him. Immediately he would have seen how a “death in custody” would reflect badly on him, making it unlikely he would have contemplated the murder at that time. All Edward had to do was to wait for Henry to die naturally; why blacken his own name when there was no point in doing so? Edward had no compelling motive to kill him, but others certainly did. Edward would have no problem recognising the true suspects in the case, the Lancastrians themselves. Henry, being already close to death, was in no condition ever again to lead an army or produce an heir. There was one last thing he could do for his cause though: he could die for it! For the Lancastrians, disposing of Henry would clear the way for a fresh claimant and if this could be accomplished while heaping opprobrium upon Edward then so much the better. Realising this possibility, the king did the natural thing. He sent Richard of Gloucester hotfoot to the Tower, not to murder the old king, but to determine whether someone else had. Having examined the body Gloucester returned to the king, after which the announcement of Henry’s death was made. The Lancastrians now saw the opportunity to enmesh Richard of Gloucester in the scheme too, and promptly look it. So we have the seemingly damning evidence of Gloucester entering the Tower and the announcement of Henry having died after he left. Though the Lancastrians had the greatest motive for murder, historians habitually ignore them entirely, being content to let stand the superficial and obviously contrived evidence against king Edward. Those who are determined, however, to insist on Henry having been murdered violently, may still have their opinion confirmed without placing the blame wrongly. The primary suspects must be the Lancastrians who, in order to blacken the name of king Edward would indeed need to use visible violence. Perhaps this is what Richard of Gloucester reported to the king after he examined the body. 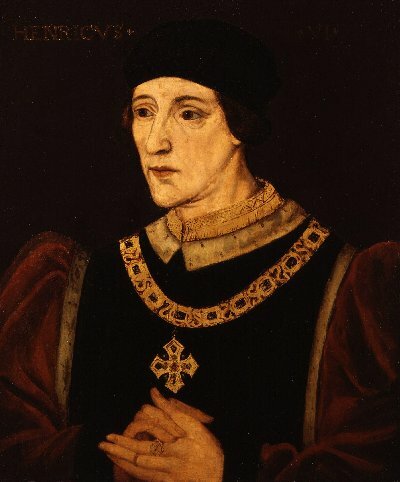 King Edward would have seen immediately the danger to his reputation and could have fabricated the idea of death by natural causes rather than play into their hands by publicly displaying a bleeding corpse. The probability is that Henry VI died as stated by the Tower authorities at the time. There is no evidence of foul play at all. The ridiculous blood-under-the-coffin trick tells us that the Lancastrians were quick to take advantage of Henry’s death to discomfit their victorious enemy. If anything, it disproves a violent death. Common sense should tell us seeing as the king intended to announce Henry had died of natural causes then put his body on public view, he was not likely to have him beaten about the head with a club, stycked with a dagger or use any other visible means when a simple suffocation of a sick old man would do the business. Of course, king Edward might have done this, but the pantomime of the blood mitigates against it and points the finger directly at the bitterly defeated Lancastrians.